Kids will need a teacher or parent to assist them in creating this charming St. Patrick’s Day craft. Teachers or parents help the kids cut the potato in half. Use a shamrock shaped cookie cutter to create the shamrock shape. If you don’t have a shamrock cookie cutter, draw an outline of a shamrock on the cut surface of one half of the potato. Teachers or parents, carve away some of the potato around the outside of the shamrock outline. Be sure the shamrock shape clearly sticks out from the rest of the potato. Pour some green paint onto a Styrofoam plate. 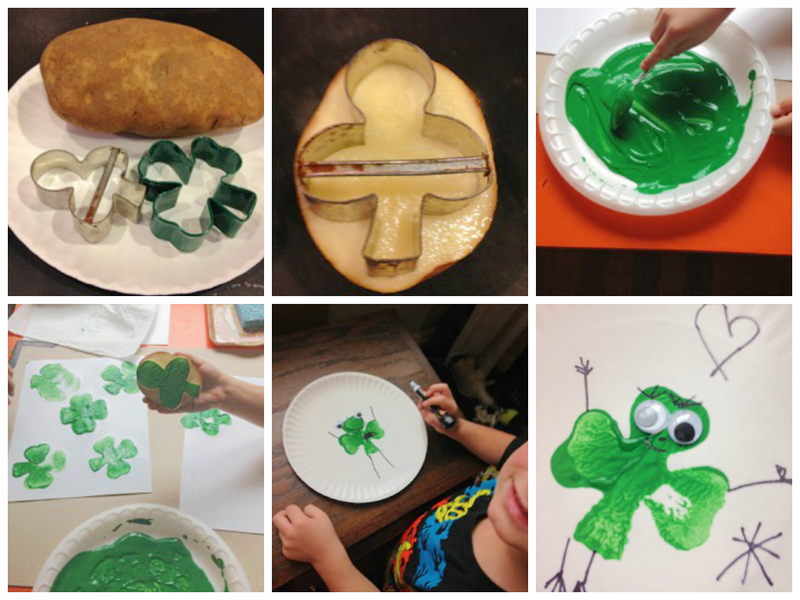 Dip the potato into the paint and stamp onto the white construction paper to make a shamrock design. Bring your shamrock potato print stamps to life by making “shamrock people”. Add googly eyes and draw on a nose, mouth, arms, and legs. Have students use the stamp 4 or 5 times on white construction paper, draw on faces and tell or write a story about the shamrock people. Kids will love adding silly faces and using their imagination to come up with creative stories about the shamrock people. Experiment with stamping the potato prints onto different types of paper, such as thin, thick, and porous. You might also wish to experiment with stamping different types of materials, such as fabric, wood, and plastic. 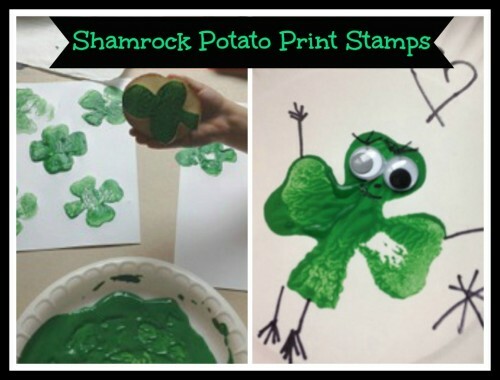 Alternatively, you can create shamrock potato print stamps using a sponge. Simply outline a shamrock shape and cut.